No one understands how important it is to choose the right meal delivery service better than we do. That is why we are here to help you make the best possible choice. While both 22 Days Nutrition and FreshDirect offer delicious dishes and rather flexible subscriptions, there is much more to be considered before you make the final call. This 22 Days Nutrition VS FreshDirect comparison allows you to get to know these companies better, discover their greatest advantages and shortcomings, and of course, find out which one provides a bit higher quality of service. 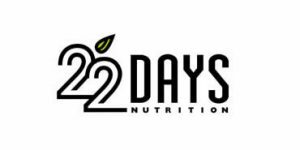 22 Days Nutrition offers plant-based meals that suit your lifestyle, whether you want to enjoy organic ready-made meals or complement your diet with meal replacement protein powders and bars that boost your energy. 22 Days Nutrition has 2 menus to choose from, including A La Carte and Weekly Meal Plan. If you choose to order from the company's A La Carte menu, you have 5 breakfast options at your disposal. With the Weekly Meal Plan, you can recieve 5, 7 or 22 days' worth of meals. 22 Days Nutrition offers 100% vegan, gluten-free, dairy-free, soy-free breakfasts, lunches, and dinners on its rotating menu. In addition to vegan meals, the service offers meal replacement vegan protein bars and powders in a variety of flavors, mostly focusing on chocolate and nuts. All 22 Days Nutrition products are USDA-certified organic and free from GMOs and gluten. They contain no added sugar but instead get flavor from high-quality natural sweeteners such as stevia. They are made from organic superfoods and free from artificial substances. 22 Days Nutrition breakfasts contain 250-400 calories and lunches and dinners have 400-600 calories. They are nutritionally balanced and rich in fiber and protein. Meal replacement powders contain 120 or fewer calories. All meals are satisfying and come in medium-sized portions. With 22 Days Nutrition, you can modify, skip, pause or cancel your subscription anytime. All changes to your order must be made by Wednesday (11:59 PM EST) before your following week’s order. For cancelations, the company points out that it works one week ahead for orders, meaning that if you cancel by the cutoff date, you will still receive one more order. 22 Days Nutrition only provides refunds on orders canceled before the cutoff date. I’ve been vegan for a few years and wanted to try out their protein bars. I purchased a box of peanut butter chocolate chip and chunky peanut butter. I ate one bar in each box and they were terrible and had a bitter aftertaste. If I wasn’t vegan, I would come to the conclusion vegan food tastes awful from experience with these bars alone. I asked for a refund, but they have been slow to send me labels to ship these awful bars back, they sound like a scam company. If you are trying to be a vegan for the first time you will probably end up eating vegaterian like foods. The recipes do not describe what to look for in ingredients. I have been a vegan for 15 years and wanted to try out a plan to lose weight, but it made me anger when they I brought this to their attention that one of their planners didn't even bother to real fix it. So if you want to complete the 22 days, just be careful and read the ingredients. I believe they stopped their food delivery service. Very disappointing, if you were using this for a while. I am now looking for an alternative. Model diet is never fun, we can’t eat anything regular folks eat, but 22 days nutrition makes it bearable. I have no time to cook and I just started living alone, makes my life easier knowing I have good food in the fridge when I get home. 22 Days Nutrition is a meal delivery service for vegans and those who’d like to give the vegan diet a try. It delivers fresh, fully prepared, organic, vegan meals to your doorstep anywhere in the US. Our expert-made review and 22 Days Nutrition reviews written by the company’s customers can help you learn all you need to know about this popular service.